It's the end of the month and so I'm thinking about Moments of Gaming again. Although on a side note I'm slightly disturbed that January is over already. While doing MoG I've dealt with too much footage, I've dealt with not enough footage and I've dealt with extremely disparate footage. However this time I have a new problem and that's a lack of variety. I've got a reasonable amount of footage this month but nearly all of it is from Dragon Age and apart from a little Eve footage, that's it. Of all the times I've made videos this is probably the least sure I've been of the outcome. Dreams have always been a very odd concept to me. People will often says things like "I had the strangest dream last night, you were in it and we did such and such...". Personally I've never said that because it's only on extremely rare occasions that ever recall anything from my dreams. Perhaps it's because I've always had major issues with the transition between sleep and awake (in both directions), I don't really know. However from last night I have one really specific memory of being hypnotised and asked to respond but couldn't because I'd been conditioned not to. I guess it has stuck with me as the whole dream within a dream concept reminded me of Inception. I suppose you could read in some issues of control there but that's not something I'm consciously aware of. On the other hand it could have been aliens and actually happened! It's been a day of mostly nothing, but I have managed to get some more of my new project done. I didn't get it launched last week but I might manage to get it out this week. I've been having some server & email problems (on one of the old servers, that's partly why I've been moving) so that's slowed things down a bit. It's been a weird week and looking back I can't think what I actually spent my time on, certainly nothing special. I guess reading Sundance blogs along with a bit of Eve was all there was too it. Not today, that was mostly boring, but July 24th 2010. The Life In A Day film was brilliant. It's amazing to see how many different things took place on that day and that while the differences are many the are just as many things which are the same. The film is fascinating and covers pretty much every extreme of life on the Earth as is possible. It's happy, it's sad and sometimes quite graphic which I wasn't expecting, but I suppose that's how the world is sometimes. The deaths at the Love Parade was something I didn't know had even happened, I was out that day and so never caught the news. Now I know that this is not the only film to ever use such a mix of footage like this. Bodysong comes to mind as one I've seen which is similar, but that was created with all old archive footage. The unique point of Life In A Day is it's use of You Tube and the Internet to crowdsource content within a very specific time window. Thanks to Kevin Macdonald and Ridley Scott for an excellent film and also well done to You Tube for a flawless live stream. You might remember me mentioning this a while ago, the collaborative You Tube film documenting July 24th 2010. I even submitted some footage of my own, although non of it was picked for the film. Of course I'm not surprised about that as it was mostly boring and a bit disjointed. Anyway the premiere is tonight both at Sundance and live on You Tube (1AM GMT). It's also to be rebroadcast at some other times over the next few days I understand. I'll be watching this evening, should be interesting to see how it turned out and how they condensed 4500 hours of footage in to 90 minutes! I just looked on my profile to check when I started playing Eve Online and found an amazing coincidence. I started on 26th January 2009, so today is my two year anniversary. I was already planning an Eve related post today but now it's even more appropriate. 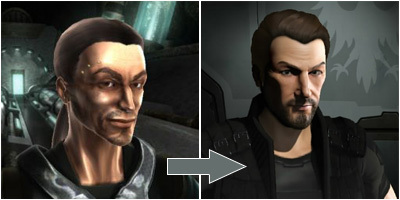 Eve has been live for nearly eight years now and lots has changed and been upgraded in that time. Even in the two years I've been playing I've seen quite a lot of changes as the developers CCP Games release two major game expansions every year. From the beginning and even now the majority of the game is about spaceships. There are other features involving trade and construction but even those mostly serve the spaceships either providing components or consumables. However CCP have often said that their ultimate aim was to create a complete science fiction life simulation rather than just space combat. Along with that one of the most requested features is the ability to get out of your ship and walk around the stations while you're docked. Now apparently this feature is finally coming in the summer expansion this year but in preparation for that the latest expansion has a brand character creation system. Over the last couple of weeks all users have had to re-create their avatar using the new system and I finally did mine earlier today. The new system is really nice and is currently one of the top character creation systems I've used (of course it's also the most recent). It could use a few more hair and clothing options but I guess there will be a shop where we can buy those once we can walk around the space stations. I know some people have gone with a completely new look but I really liked my old avatar so I've tried to keep some similar features in the new one. The nominations for this year's Oscars have been released today and as usual there are many films which I haven't even seen. 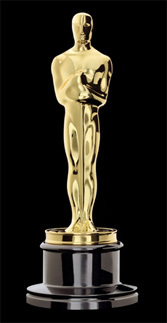 Of the 10 nominations for Best Picture I've only seen two so far, Inception & Toy Story 3. From those two I'd probably pick Inception until I watch some of the others, which I am planning to do at some point. Some people have been expressing disappointment that Christopher Nolan didn't get a Best Director nomination for Inception, but he is up for Best Picture & Original Screenplay while the film itself is up for Original Score, Sound Mixing, Sound Editing & Visual Effects so it's not all bad. It's interesting to see that Toy Story 3 is actually up for Best Picture and not just saved for Best Animated Feature (which it's up for too). TRON: Legacy is up for Sound Editing but not for Visual Effects which I find a bit odd. Overall The King's Speech has the most nominations so I guess that's the favorite. I'm sure it's quite good and I'll probably see it one day, but I just can't get excited about period drama. Of the other favorites True Grit and The Fighter have yet to even be released in the UK and Black Swan has only been here for a week, so not much chance for me to have seen those. There seems to be a major buzz around the Internet today about Red State, the new film from Kevin Smith which debuted last night at the Sundance Film Festival. The reviews seems to be very mixed so far. I try to stick to my own personal opinion on here but of course it's hard to not be influenced some times. I'm happy to say I'm a fan of Smith's earlier work (although I've still not seen Cop Out) which I guess puts me in the minority to begin with. All I know about the film so far has come Kevin Smith himself through the Smodcast Network or his Twitter so I guess that's always going to be slightly biased. I've been interested for a while but now some more people have seen it and that not everybody seems to like it you can't help but start to wonder. 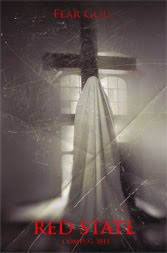 Still I'm always up for a good horror film and I think I probably will enjoy it myself when I see it. The question is of course when I will get to see it? Kevin Smith has announced that the film will not be sold for distribution in the usual way and instead he will be touring it around the country before it get a wider release. It sounds like an interesting attempt to do something new outside the studio system but it only really applies to the US. When or where we'll get to see it here in the UK is unknown at this point. No one single thing to post about today, just a few updates on various subjects. My new project is progressing nicely. A little slower that I'd hoped but still moving forward. There is a new short video on the Life Of Doon You Tube channel. Moving websites to my new server continues when I have spare time. Doing one at a time to make sure everything work working correctly makes it a slow job. No major problems though. Almost complete now. Duke Nukem Forever has a release date! It's almost unbelievable. Rumours are circulating that make it sound like Tron 3 is inevitable, that's cool. I've loved Paul Verhoeven's 1997 film version of this for a long time, so when the book popped in my my Amazon recommendations while I was trying to decide what to read it seemed like an obvious choice. Robert A. Heinlein is not a name I've been familiar with until now. A bit of research shows his body of work is not particularly huge and that he died in 1989. 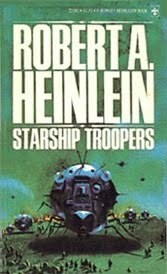 However Starship Troopers did win a Hugo award for best novel in 1960. I suppose this is often the case with books made into films but my first thoughts were about how different the book is to the film. Certain elements are there and the themes are the same but they are very different approaches to the subject. The subject is why a man would choose to fight. Unlike the film much of the story takes place in the classroom rather than on the battlefield but it still manages to be interesting as it's full of thought provoking ideas and concepts. Overall I enjoyed it and would recommend it. I briefly mentioned it last Sunday, I had an idea for a new side project and this week I've been spending some time designing it. This weekend I'm hoping to find some time to actually start writing it ready for a launch early next week. It's going to be a new website and is partly related to the reason I went to see TRON: Legacy yesterday while also being related to two of my goals for the year. That's all I'm going to say for now but it should be interesting I think. I've been looking forward to this film for a long time but didn't manage to find the time to see it until today. I was motivated by multiple reasons but the primary one of course was the fact that it won't be in the cinema for much longer. I wanted to make sure I saw it in it's proper 3D form. I know that 3D is not for everyone but personally I like it. Although I should say I only bother with it on films that were planned and filmed in 3D from the start. Those that were converted in post-production just don't have the appeal to me, they give the impression of the studio jumping on the bandwagon rather than the director making an artistic decision. I've seen three modern 3D films, Avatar of course along with Toy Story 3 and now TRON: Legacy. They've all looked fantastic to me. 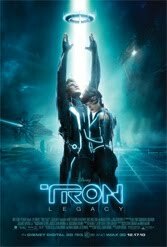 The film itself was great too, pretty much everything I could have hoped for in a modern Tron sequel. They dealt with the reality of how much technology has changed since 1982 very well. The grid itself looked wonderful. While it may not be cutting edge anymore, as computers can pretty much render anything now given enough time, it was top quality work. Jeff Bridges was great in multiple yet different roles and Garrett Hedlund did a good job as Flynn's son. Despite her high billing it felt like Olivia Wilde didn't get a lot of screen time but what she had was fine and most importantly she didn't remind me of "Thirteen". The Babylon 5 fan in me wanted to see more of Bruce Boxleitner but I guess it would have cost too much to computer generate a young version of both Bridges and Boxleitner throughout the entire film. That will have to wait for another sequel (fingers crossed). Daft Punk's soundtrack fitted the world perfectly and sounded awesome, I think I'm going to have to buy that CD now. The first official promotional picture for X-Men: First Class has arrived on the Internet and has of course received mixed reactions. Personally I think it looks fine based on what I know about those characters. Five of them are younger versions of characters we saw in the original three films. Although Moira MacTaggert was only a brief cameo, my knowledge of her actually comes from the cartoon version. Apart from Emma Frost who I've just been reading about in Astonishing X-Men I don't know a lot about the rest. My only problem is with Nicholas Hoult as Beast he just seems to look too young and skinny, though I admit he's at the back in the dark and that you can't see much. 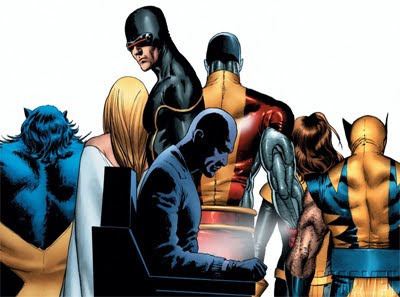 The majority of complaints seem to stem from the fact that this particular line up never existed in the comics and that it seems to be mostly ignoring any continuity from the other four X-Men films. For now I still have hope this will be a good film. Here is the picture (click for larger). 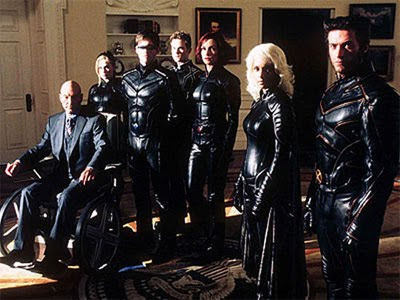 From left to right: Michael Fassbender as Magneto, Rose Byrne as Moira MacTaggert, January Jones as Emma Frost, Jason Flemyng as Azazel, Nicholas Hoult as Beast, Lucas Till as Havok, Zoe Kravitz as Angel, Jennifer Lawrence as Mystique and James McAvoy as Professor Charles Xavier. Today was mostly full of fail with missed deadlines and broken domains. I've not achieved anything I set out to do today. Curse you Monday! Well hopefully with all that out of the way today the rest of the week might be ok. One can hope anyway. Still a few things to sort out this evening so I can't stay here too long. Once that's done I think I'll watch a film. Although I never mentioned it, I'd sort of planned to update my video blog on a weekly basis. Then due to work and visitors I've not had time to record anything this weekend. I even had a topic ready but that will have to wait now. I suppose it's possible I might find time during the week but there are a lot more distractions on weekdays especially while there is still daylight around anyway. I've not found a position in my flat yet which has enough light to record a decent quality video while it's dark outside. In other semi-related news I've had an idea for a new website which is related to one of my goals, but I shall wait to talk any further about that until it's ready to go live. Or almost anyway! I just just reading this article and I was extremely surprised to see that Fox have cancelled the Alien prequel films and instead are now re-purposing the script in to a brand new project called Prometheus. Is this a sign that Hollywood is beginning to notice that the public is getting a bit tired with all the prequels and reboots to old films. If it was from a smaller independent company I'd say no, but from Fox? That's a fairly major risk for a big studio to create a new franchise rather than relying on an existing one. I guess as it's been thirteen years since Alien: Resurrection and that the AVP films while profitable were not major hits, the executives have possibly decided that the Alien brand does not have enough power anymore. Presumably they will instead be banking on Ridley Scott and Damon Lindelof's names. Still it's an interesting sign. 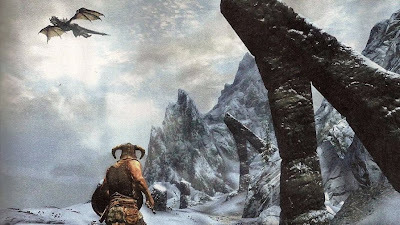 More and more information about TES5: Skyrim is coming out and it's getting exciting. It's just a shame we're still 10 months away. Still I must resist the urge to play Morrowind and Oblivion again. I've still got games to play which I've not even tried yet. Third attempts should wait! Dragons and snow covered mountains all in a fancy new graphics engine should be great. So long as there's no Cliff Racers that is! I've known this has been coming for a while but I'm not looking forward to it. As a server admin looking after many servers and thousands of domain names I imagine that I'll have a few troubles once this starts getting a proper amount of public usage. Domain records will need to be updated and software will need to change as new servers won't have IPv4 addresses anymore. However I suppose that as the article suggests large hosts should make an effort to prepare in advance. Unfortunately the test they link to shows that my ISP connection is not IPv6 ready yet, not the best of starts! Interesting times for the backbone of the Internet, things could go pretty drastically wrong if not handled correctly. Sorry for the technical post, probably a bit boring if you're not a server admin. I posted about this once before back when it was first announced. I bought it when it was first released as well but due to various distractions I never got around to playing it until this week. 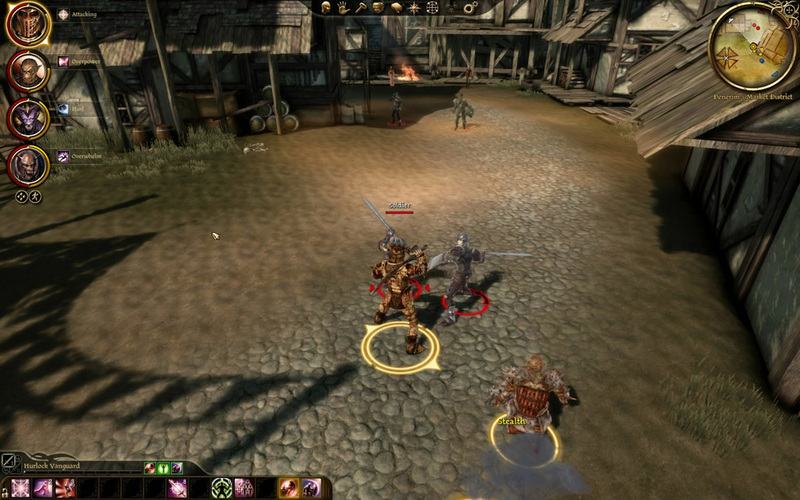 This Dragon Age module sees you playing as the bad guys for a change. This story basically play like the opposite side of the final section of Dragon Age: Origins. Obviously there are some differences but that is the simplest way to describe it. You play as a Hurlock general as part of the attack on Denerim rather than being one of the Grey Wardens defending the city. You make your way through the city trashing stuff and slaughtering civilians following orders from the Archdemon. On your way you meet various notable characters from the main story including all the player companions and of course they all need to be killed too. Finally you're at the top of the tower and defending the Archdemon from Alistair, Morrigan, Leliana and the Dog. Overall I enjoyed it but there are two problems. 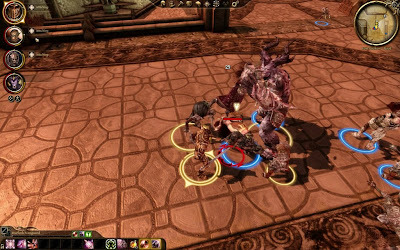 First as a nameless Darkspawn general there's no emotional connection to your avatar at all. You have no control over class or stats. Generally you play these game to be the hero but here you're just a general taking orders. The second problem is that it's a bit to easy. 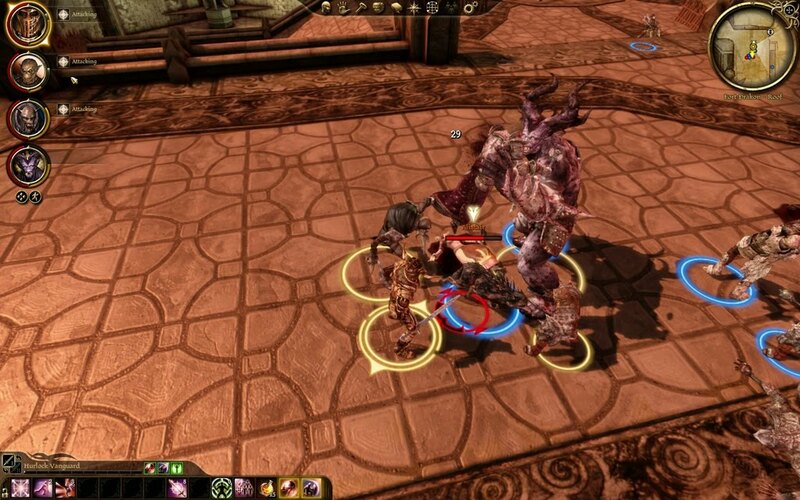 As you progress you get more and more Darkspawn followers assisting you. It gets to the point where they're doing most of the work for you so at that point the computer is basically playing against itself. What this has done is get me in the mood for more Dragon Age again, so I've now started playing the Awakening expansion again. This time as my mage character. It seems like there are going to be a lot of gigs this year and I've only got the first half planned so far. Although it's technically only March and April but there weren't any I fancied before that. In March there is Epica supported by ReVamp, that's followed by Sonata Arctica playing with Labyrinth and then Accept play with Wolf. 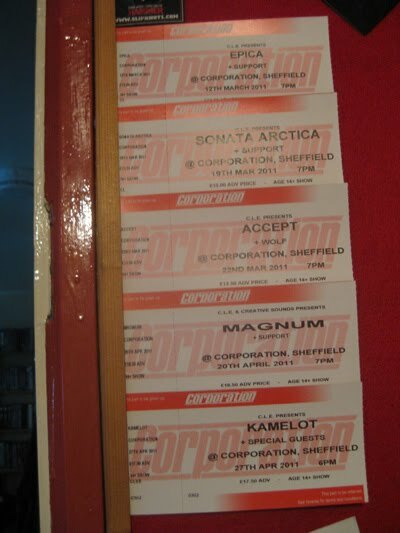 In April Magnum take the stage and the week after that the Pandemonium Tour arrives including Kamelot, Evergrey, Sons of Seasons and Amaranthe. Those gigs are all local ones at the Corporation but I'm also considering seeing Manowar in Birmingham (another March one) and I might see Iron Maiden for the eighth time when they come to Sheffield Arena, but that's not until July. For a long time I avoided it. A couple of years ago I finally caved and signed up for Facebook and since then I've embraced the social side of the web. I started blogging, I joined Twitter, I posted on more forums. Now I've even got a second You Tube channel and a video blog. The question is when does it stop? I just started a Daily Booth account a couple of days ago but what else is there? Formspring, Tumblr, VYou, there always seems to be more sites people are using do I really need those and what do I get from it all? Signing up for everything out there is probably unnecessary but sometimes it's hard to choose. Still Twitter is my favorite, follow me @slayweb if you're there. If you have not done so already you should subscribe to my new You Tube channel. I think that in general I won't always cross-post on here when I upload new videos so you should follow both separately if you're interested. Today is different as it's still new and I've got nothing else in mind to post here. There's a new video on the Life Of Doon channel talking about goals for the new year. Now I have a website to update so it's ready for the morning so I shall do that and see you tomorrow. The final X-Men TPB I've got (for now) is Torn, containing issues #13-18. The previous book ended up with a large battle and so this starts off a lot more slowly as the X-Men deal with the aftermath and recuperate. However that doesn't last too long before they end up under attack again but this time it is a mental attack sending them all kinds of crazy. Before than can be entirely dealt with everybody (on both sides) is abducted by SWORD and we're left wondering what will happen next. So that is the end for the time being. I've enjoyed my intro into the world of X-Men comics and I'm pretty sure this won't be the end. There are two more book available in the "Astonishing" series but I'll resist the urge to go and buy them right away and attempt to pace myself. After that I'm not sure what I'll read. I'll either go back and find some of the back story to these books or I might have a look at the "Ultimate" series. The benefit of Ultimate X-Men is that it is not an on-going series anymore so it has a beginning and an end. After learning more about Emma Frost and the Hellfire Club I'm now looking forward to the X-Men: First Class film at lot more than I was before. When X-Men Origins: Wolverine turned out to be a bit uninspiring I lost some of my interest in the prequels like the planned Magneto and Deadpool films. However now I have hope again. Finally to round out my X-Men week I think I'll have to re-watch the films this weekend. Yay! Professor X = Not dead. He was in hiding for some reason and not everybody knew. Those that did know were keeping it secret, hence the death implications. Also another team member showed up, Colossus. Now we just need Rogue to turn up and things will be almost normal. Although I suppose that for the classic line up you need Storm and Jean Grey as well. As far as I can tell, unlike Xavier, Jean Grey is dead at the moment. I do wonder though how many times in the last forty years Jean Grey/Phoenix/Dark Phoenix has died and been resurrected. If I remember correctly it first happened in the eighties so there has been plenty of time. Including comics, films & cartoons it's been at least three but I get the impression that it's happened in the comics more than once. In these issues the cure plot seems to have disappeared for the time being. Here the AI controlling Danger Room has achieved sentience and decided to go on a murderous rampage as that is all it knows. It's a good job there are mutants with healing powers at the school otherwise everyone (not including Wolverine of course) would be dead. One thing that the comics can do which the films can't is be much more overt with the crossovers. In one part of this story there's a totally unexpected visit from the Fantastic 4 and then later there are mentions of both Spiderman and the Avengers. It's sometimes easy to forget that they all exist in the same world. The first of the X-Men books I bought turned out to be more complicated than I expected. I'd thought I was beginning to understand the different versions and continuities in the Marvel universe but I was wrong. I was under the impression that the "Astonishing" series was separate to both "Uncanny" and "Ultimate". However as I started reading I soon realized that this was not quite the beginning. The story had been written to still be understood by new readers, I quickly picked up on what was going on. However it seemed to begin in the aftermath of a previous incident which kept being referred to. On further investigation I see that although this book contains Astonishing X-Men issue #1, it's actually issue #1 of volume #3! On top of that it's not actually a continuation of the earlier "Astonishing" volumes but in fact follows on from the "New X-Men" series. While "New X-Men" became "X-Men: Legacy" and continues with a different set of mutants. Aarrrgghh! So as I understand it now there are currently three active comic lines, "Uncanny", "Astonishing" and "Legacy", which all have a different set of mutants in different locations but sometimes they crossover. It's crazy! Still once I got my head around all that and learned a bit more of the back story I enjoyed what I read. The story concerns something I expect has come up more than once in it's forty year history, a cure for the mutant problem. In fact I've just read (only on wikipedia) that some of this story was the base for the X-Men 3 film. To an X-Men noob like myself a couple of things felt a little off. First is that there's no Xavier, I think it was implied that he is dead but I might be wrong. The school is now being run by Emma Frost a character I know very little about. In fact I only know of her existence because I heard she was to be in the new prequel film X-Men: First Class coming out later this year. The other person missing is Rogue. In the first film Rogue was the new mutant who served as the audience's window in to the universe. In the cartoon that job went to Jubilee and Rogue was already a full member of the team. I have to admit that I've always had a bit of a crush on Rogue so it was a bit of a disappointment that she's not part of this story. I guess she must currently be involved in one of the other storylines and hopefully she'll make an appearance later. 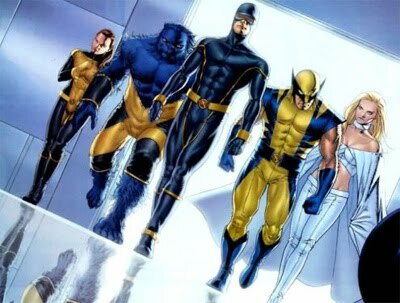 So for now we have a team consisting of Shadowcat, Beast, Cyclops, Wolverine & Emma Frost. How their adventures continue in Dangerous I'll talk about tomorrow. This week I already know what I'm probably going to be posting about so I'm going to make it an official thing and start with an introductory post. 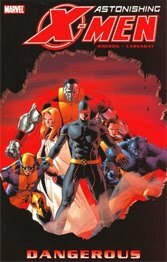 The topic as you've probably gathered from the post title is the X-Men. I thought that my first introduction to the X-Men universe was the nineties X-Men: The Animated Series but now I'm not so sure. It originally aired starting in 1993 when I'd have been 14, so I was the target age for sure. However thinking back the first time I can actually remember watching the series was on Fox Kids re-runs when I was a student and that would have been around 2001. So unless I've completely forgotten my childhood it's possible that I actually saw the first X-Men film first. That said I feel I know the most about the animated series version so I probably did see at least some of it when I was younger and I've simply forgotten. 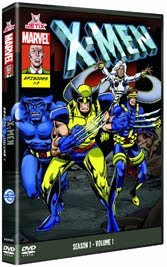 X-Men: The Animated Series has recently had a decent DVD release and about time too, so I've been collecting them. They've got great covers that are designed to look like comic books and come with free Top Trumps too. That is what has rekindled my interest. For a nineties kids cartoon it still holds up amazingly well with quality animation and deep ongoing storylines. As I understand it they kept very close to the comic stories when making the series. Also the intro music is one of best. This weekend I realized I'd bought a copy of X-Men Origins: Wolverine a good while back that I'd not watched yet. I had of course seen it once before so this was my second watch. I know some people would say that's two times too many but although it's nowhere near as good as the first two X-Men films it does have some interesting moments. If you can ignore some of the dodgy CG and are just looking for an uncomplicated action film you could do worse. Now re-watching the animated series has me interested again I've found myself wanting more. Which of course means delving into the comics. The problem is that is easier said than done. 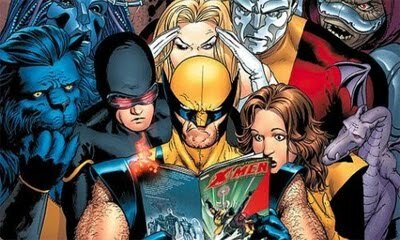 With a comics series that started in 1963, has hundreds of issues, multiple spin-offs, multiple continuities and multiple universes where does a new reader in 2011 start? Do you start at the very beginning with Uncanny X-Men #1? Do you start with the seventies relaunch Uncanny X-Men #94? 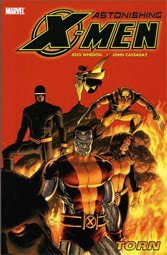 Or do you start with the more modern Ultimate X-Men series from 2001? Considering the Uncanny X-Men series is still running and has passed issue #500 now it's all a bit daunting. I decided that I should start somewhere that is at least a little familiar. 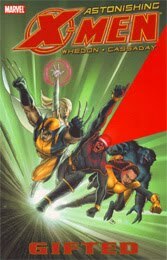 In 2004 Joss Whedon wrote 24 issues of the Astonishing X-Men series so I thought that would be a good place to start as I'm such a fan of his other work. I ordered the first three trade paperback compilations (issues 1-18) and they arrived from Amazon this morning. I'll talk about those tomorrow. 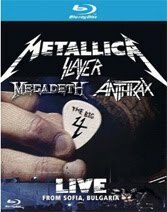 Metallica, Slayer, Megadeth & Anthrax all on the same stage it would be pretty hard for that to be bad in any way. I wonder how much discussion went into deciding the order of play? 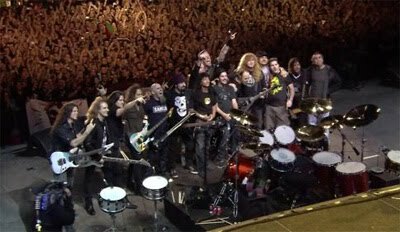 We all know there's been a huge rivalry between Metallica & Megadeth for a long time. Ulrich and Mustaine seemed friendly with each other in the behind the scenes documentary, but I can't help wonder if that's why they were separated by Slayer. If you go by record sales it should be Metallica, Megadeth, Slayer, Anthrax (as far as I can tell). Personally I've always preferred Megadeth at least on the studio albums though I have to admit (based on videos) that Metallica seem to put on a better live show. I've seen Megadeth live once, but that was way back in 1995 and I don't remember the details. I've never managed to catch Metallica yet. 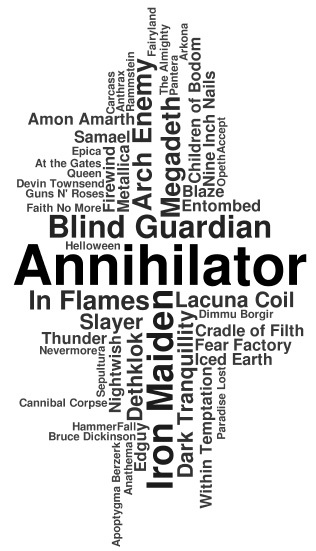 If you look at my Last.fm play count chart it shows Megadeth at 4, Slayer at 9, Metallica at 14 and Anthrax at 31. So that would be my order. I was actually a little surprised at Metallica being that low. Still I've never actually considered them the big four anyway as I discovered Anthrax much later in my life than the other three. The concert itself looks and sounds great on bluray (but that's to be expected). First band on stage is Anthrax. I know their songs but of the four they're the band I know the least of the background story. They get a warm welcome from the crowd considering how early in the day it will have been. They put on a great show and look like they're having fun. Megadeth are next on stage, right as torrential rains arrives. The crowd looks funny in their multicoloured rain ponchos but still they're way more energetic than they were for Anthrax. Mustaine looks like he's in pain while singing. He always pulls faces but this looks a little more than usual. Overall the music is tight but they are very static on the stage. The rain stops (poor Megadeth) and Slayer take the stage. They are on top form and loving the crowd response. King's got some very metal guitars! Finally as it's getting dark The Ecstasy of Gold starts playing and Metallica arrive. Now it's dark they get the benefit of a full light show which makes them feel bigger than the rest. The fact that they get a two hour set compared to one hour for the others helps with that too. Yet on a wide shot of the whole gigantic stage they actually look quite small. The first thing I noticed is how small Ulrich's drum kit is. He's only got one tom and a few cymbals more than I do. I guess I never payed enough attention before I started playing myself. Still it's a much smaller set up than most metal drummers. The highlight of course is "Am I Evil?" where all 17 band members come on and play together for the first song of the encore. 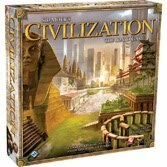 Now in board game form! I had no idea this existed until earlier today but I found out by being invited by a friend to play a game. It was of course one of his Christmas presents so none of us had played it before. That made it a little slow to start with but it didn't take too long to figure it all out. There are a lot of tokens and counters and lots of rules to think about, it's not what I'd call a basic game. It actually feels a lot like the computer version, as much as a simplified tabletop version can. Most importantly fun was had. I didn't win, but came quite close. While not the greatest I'm quite pleased with the result this month. The footage was a bit of a strange mix, partly due to the Steam treasure hunt, but I had lots from Fallout: New Vegas and Dragon Age which I could put the odd ones in between. I had quite a lot of footage from the various puzzle type games a lot of which I didn't use in the end. As usual the biggest problem was choosing the music to use. I almost went with some funky electro-jazz but eventually decided that wouldn't fit with the footage I had this month. So instead I went with a more typical experimental metal. I like many different styles of music but something about a widdly guitar always seems to end up on top of the list. There was one minor pitfall. It seems I've used too much of the Left 4 Dead 2 intro movie in one go without edits and IMG Media UK/EA have made an auto copyright claim. I didn't know You Tube were checking visual content now as well as audio. I'll have to watch out for that in the future or I'll have to stop all together. It means that the video has been blocked in all countries except the UK and the US (I guess we've got the least strict fair use laws or something). That's a bit of a shame but the stats on my other videos show the majority of viewers are from the US. I'm afraid the few Russians and Australians will miss out though, sorry. It's too late to be worth editing now especially as we're talking less than 100 viewers worldwide anyway. One final warning. This is mainly addressed to Fiona13 my one commenter. It may apply to others but I don't know you. There's been violence and death in all the previous videos but thanks to Left 4 Dead and Left 4 Dead 2 some parts of this one are a bit more graphic than before (zombie headshots).